Don't miss "Dirt Day" at the Vasa. Meet at Einstein Cycle (on 4 mile) at 5:30pm for tour of shop and cyclocross talk. Team Einstein captain Jason Lowetz will share with everyone the plans for the Vasa Trailhead Permanent Cyclocross (cx) course as well as the race series. They will play a few short but sweet cx videos and discuss future group cx fun rides which will leave from the shop. We will roll out to the trailhead at 6pm and I will briefly show people where the course will be and what to expect. We can then head out and do a lap of the vasa on our cx bikes.....for fun in the dirt! Welcome to the Third Coast Bicycle Festival! Another great night for TCBF. Thanks to Jordan and the crew for organizing the Seersucker ride.... too much fun on two wheels. It is nights like this that make me love living it Traverse City! The 2011 TCBF is in full swing! Thanks to all of the participants who took part in the TCBF Time trial on Old Mission. Results posted soon! Please help us make 2011 even bigger and better. Check out our facebook event page and send us a comment or become a fan. Click this link (or the one above) for our day-by-day schedule. 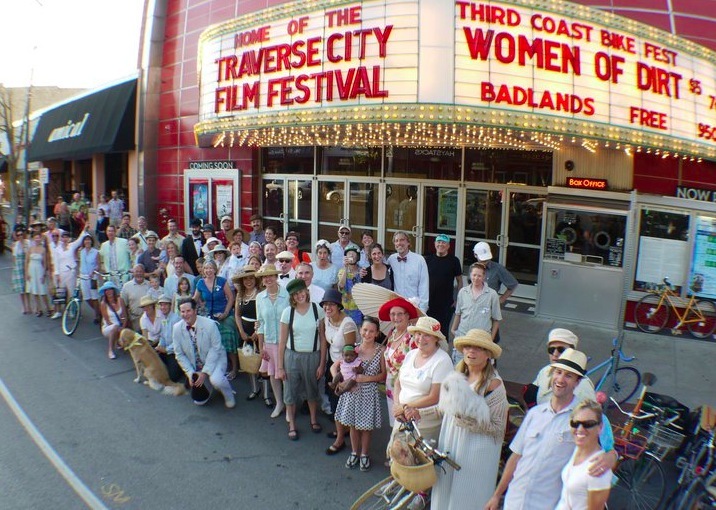 From Aug 12th through the 21st in Traverse City, Michigan the Third Coast Bicycle Festival will offer something for every bicycle enthusiast. Whether you’re a triathlete, a fixed gear rider, a USCF road racer, a weekend tourer, a cyclocross racer, or just love to be outside riding your bike with your family you’ll find plenty of cool events throughout the week. On Saturday afternoon you won’t want to miss the thrilling curb-to-curb races of the 4th Annual Cherry Roubaix Criterium Road Races just two blocks from downtown. High flying BMX action, urban trial riding demonstrations and more! But there’s lots lots more – bicycle art, trackstand and polo competitions, a bicycle film night, and lots and lots of great local organized rides. You’ll need another week of vacation just to rest up from all this excitement. Information is available at www.tcbikefest.org but stop back often as we add more information about the events. See ya on the road somewhere. And remember, ride safe and stay vertical!